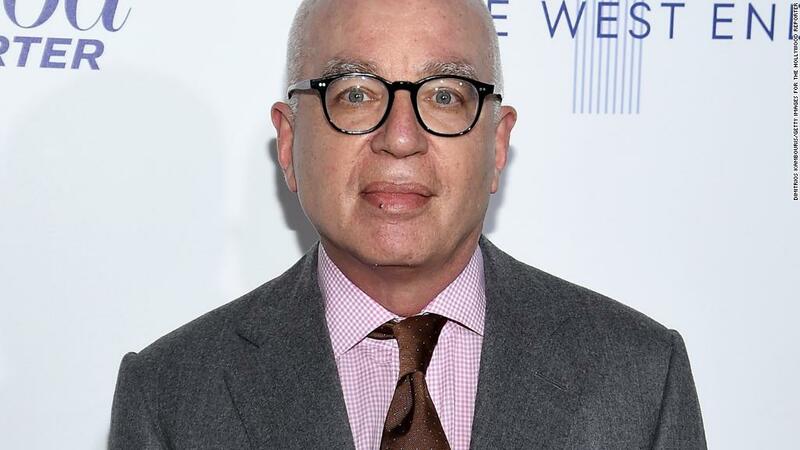 The publisher of Michael Wolff's new book about President Trump is rushing it onto bookshelves. "Due to unprecedented demand, we are moving the on-sale date for all formats of 'Fire and Fury,' by Michael Wolff, to Friday, January 5, at 9 a.m. ET, from the current on-sale date of Tuesday, January 9," a Henry Holt spokeswoman told CNN Thursday afternoon. Booksellers were notified of the decision earlier in the day on Thursday. The move came hours after a personal attorney for President Trump sent a cease-and-desist letter to Henry Holt and Wolff demanding that the book not be released. Instead, the publisher is doing the opposite. Wolff tweeted about the publisher's decision to speed up the release: "Here we go. You can buy it (and read it) tomorrow. Thank you, Mr. President." Wolff's TV book tour has also been moved up. He was originally going to appear on NBC's "Today" show next Monday. Now he'll be on "Today" on Friday morning. Excerpts from the book have been published by New York magazine, The Hollywood Reporter and GQ. The excerpts are full of shocking quotes and claims about what Wolff portrays as White House chaos and incompetence -- affirming much of what's been previously reported by other outlets and adding disturbing new details. Some of Wolff's reporting has already been corroborated. But the book also contains some errors, according to early reviewers. White House press secretary Sarah Sanders called the book "fantasy" and fiction on Thursday. But other White House officials allowed Wolff an enviable amount of access to the West Wing last year. The book is already #1 on Amazon, which means there have been thousands of pre-orders. It is unclear when those orders will be delivered. In the cease-and-desist letter to Henry Holt, Trump lawyer Charles Harder demanded that the publisher "cease and desist from any further publication, release or dissemination" of the book. Harder's letter alleged that the book excerpts contain "false/baseless statements" about the president. The letter also used the term "actual malice," raising the prospect of a libel or defamation case. The Henry Holt spokeswoman said in a statement to CNNMoney Thursday afternoon, "Henry Holt confirms that we received a cease and desist letter from an attorney for President Trump. We see 'Fire and Fury' as an extraordinary contribution to our national discourse, and are proceeding with the publication of the book." Legal experts said an actual lawsuit is highly unlikely. Harder did not immediately respond to a request for comment about the book's new release date. In any case, Trump's legal threat is a serious escalation in Trump's war against media outlets. Some journalism advocates said Trump's tactic was disturbing and compared it to an attempt at censorship. Others said the threat would backfire and help sell even more copies of the book.